I decided to sew a brooch back onto this little primrose made in brick stitch. 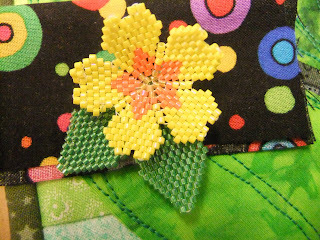 It is quite fragile so I shall need to be careful where I pin it! 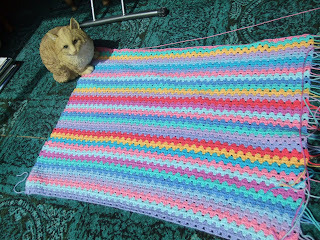 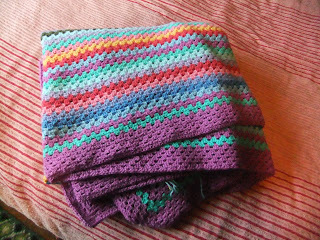 Remember this blanket that I started crocheting a few blogs back? 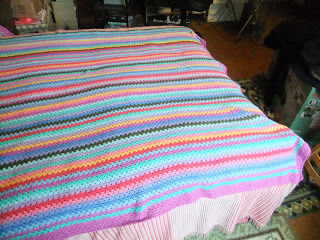 Well here it is finished - fits a double bed quite nicely.... and there's still some yarn left over. 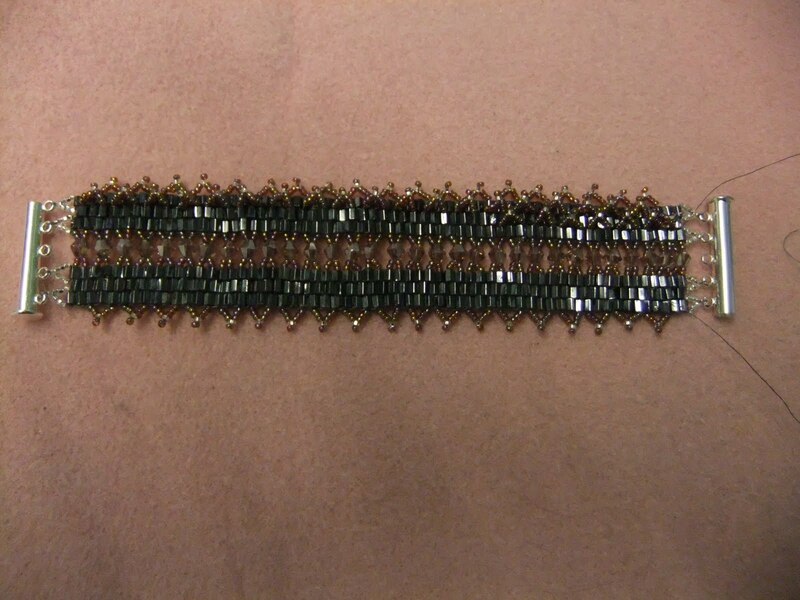 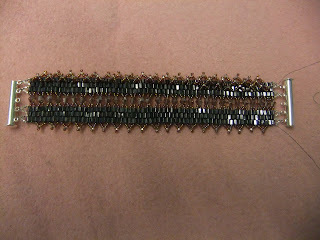 Folded to show a closer view - there are still 'tails' to sew in. 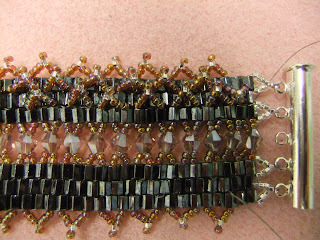 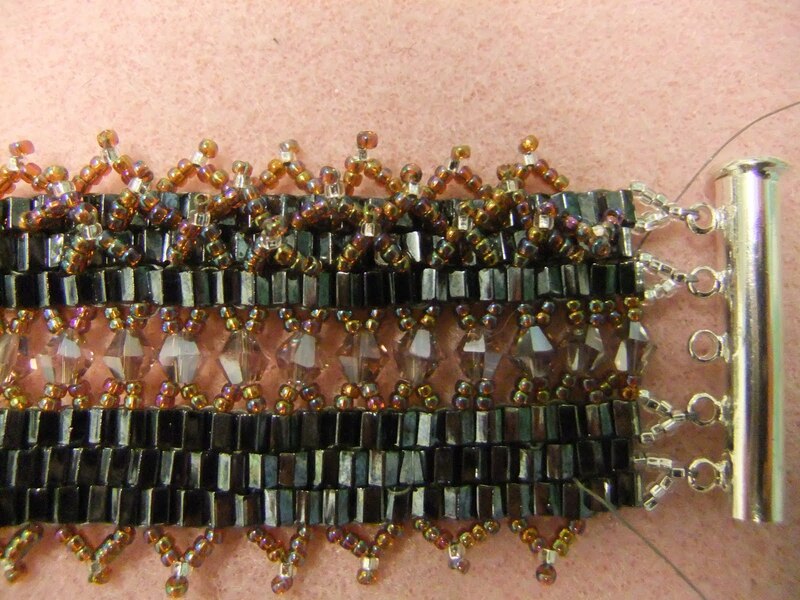 ..... and I have started the third row of picots along one of the sides. 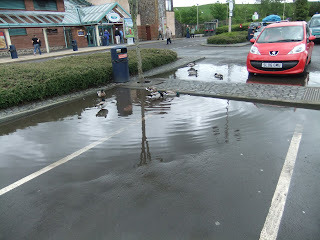 It rained quite a lot on the return journey from the Loch Lomond Quilt Show - these ducks were swimming in a puddle in the car park at the service station! Son of crochet blanket with my mum's very scary plastic cat! This one is going to be suitable for a lap quilt it is a quarter of the size of the big one. 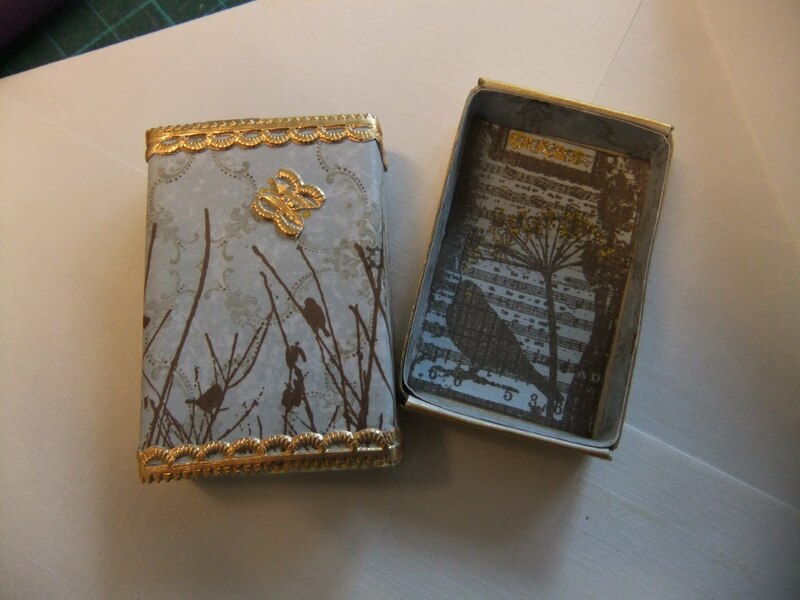 ..... and here is the view of the inside! 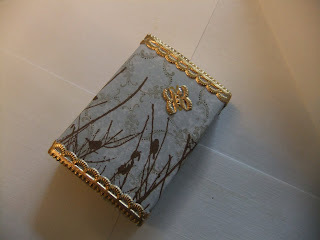 Love the bird stamps and the gold sparkles.